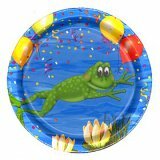 Having a frog or alligator party? 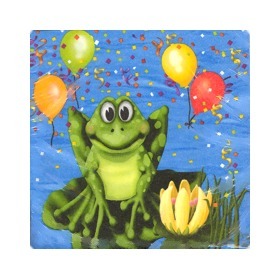 Cute and colorful frog napkins feature a frog on a lilypad, with balloons and confetti behind him. 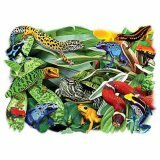 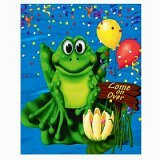 Size: Pack of 16 SMALL 3-ply napkins, 9-7/8" square when opened These fun Swamp Party frog party supplies come in a variety of items featuring frogs and alligators. 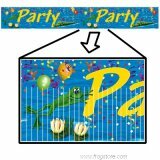  See the links at the bottom of this page for the coordinating partyware.